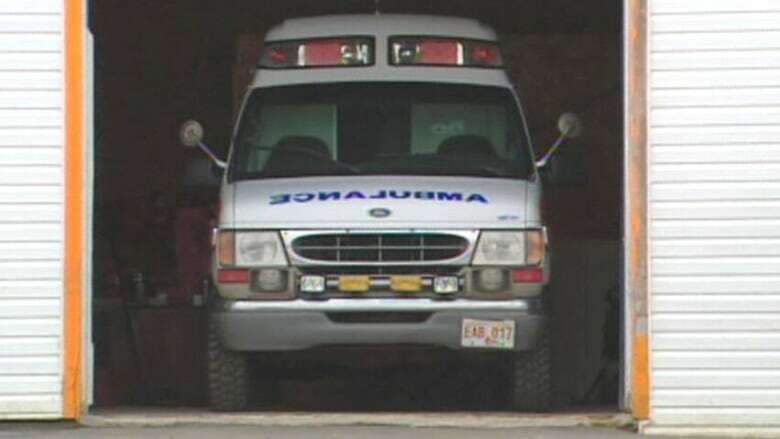 Three paramedics who work with private ambulance services in Newfoundland and Labrador say they hope a province-wide review of ambulance services will lead to much needed change. The N.L. government has commissioned a review of the province's ambulance services. The provincial government has hired a private consultant to look at road ambulances, fixed-wing ambulances, and rotary ambulance services. The paramedics who spoke to CBC said there has been a gap between private ambulance services and hospital based services run by health authorities, and they're worried that the gap may affect patient care. One paramedic said that private ambulance services are often using older ambulances with older equipment. "If you were to go to a hospital based service, you'd be seeing a lot newer medical technologies," he said. Provincial laws require ambulances to be taken out of service after 10 years on the road or after they log 500,000 kilometres. The paramedics said too often, the private companies use the older vehicles. "I actually had to get out with a patient in the back, and with the help of a bystander who happened to be stopped behind us, and I had to push the ambulance," said another paramedic. Another paramedic said he was concerned about the differences in private ambulance services and hospital-based services. He said paramedics at private services often work on-call for 24 hours a day, on shifts of seven days on and five or six days off, while hospital-based paramedics work 12-hour shifts. The paramedic whose ambulance broke down also experienced what he described as a scary call on a long shift. "I was out on the road for 17 hours one day," he said. "And the resulting bad weather conditions, time of day, and I'm sure fatigue played a huge factor in this, I actually hit a moose when I had a patient on board." The private paramedics also said there was a big gap in wages and benefits between those who work for private services and those who work for health care boards. One man said paramedics working for private services are paid about $18 an hour, while paramedics working for health care authorities can be paid more than $24 an hour. "We're all hoping for that equal level of pay. We all do the same type of work," he said. "My friend who works for a hospital service, he's collecting his benefits and he's saving up for his pension. The company I work for doesn't offer that." Paramedics have started a Facebook group where they hope to encourage the public to give their feedback into the province's ambulance services. The provincial government is also seeking public input on ambulance services through the main web page of the Health and Community Services department. CBC has agreed to withhold the identity of the paramedics, who work in different parts of the provinces, because of their concerns that speaking out could hurt their careers.